That feeling when a book is so good you have to tell the world? We're telling the world. 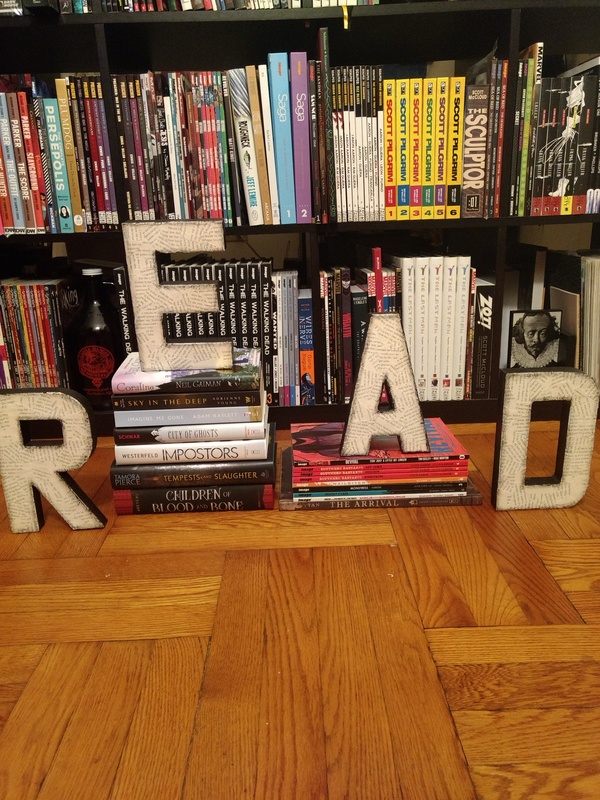 With the close of 2018, I wanted to do a full year reading wrap up. Goodreads says I finished 137 books but I’m going to bump that down to 134 because I don’t want to count the three books I know I didn’t finish. Sometimes you have to put down a book when you’re not into it and come back to it later. I came up with a few stats from my reading list this past year that I wanted to share with you! Nonfiction doesn’t make my rotation often, and clearly poetry doesn’t either so congrats to Shy Watson with Cheap Yellow for being my only poetry book of the year! But the most disturbing stat I uncovered, out of the 52 ARCs I read (and the main reason I read them is to review them) only FOUR of those ARCs turned into blog reviews. That’s horrifying! And embarrassing. Here is a bread down of how I structure my reading. Comics and graphic novels are my “bedtime” reads. It’s a nice change of pace from what I’m staring at all day, and I take them as slow or fast as I want since I only read them in bed. All of my audiobooks come from the library (which I left out of the library group since those were physical books I picked up) and I listen to them on my desktop at work. I highly recommend this if you can get away with it! It has doubled my reading pace and I use it as a chance to enjoy books I might have at home and know I won’t get to anytime soon or those books I’ve heard good thing about but don’t own. Audiobooks have made my days at the office bearable. Now about those ARCs. I collect them like my life depends on it, especially the ARCs that are true ARCs and won’t be on bookstore shelves for months. 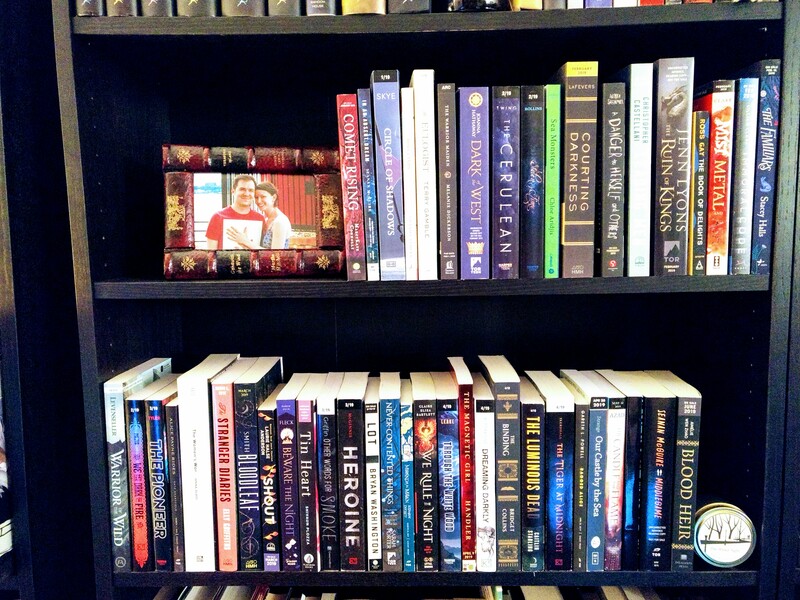 I organize them by pub date and read down the line, not even paying attention to what comes next. My goal is to read it and review it before it’s official put date. With a whole whopping four reviews last year, it’s obviously not working. I put so much pressure on myself to finish all these books that are being published in the same month so my reviews are relevant, I neglect to write the actual review. WHICH IS THE WHOLE POINT. It’s turned into the feeling of reading for school and I don’t get to read for myself anymore (where audiobooks have become a saving grace, at least). Which brings me to my New Year resolution. I want to focus on the blog and getting actual reviews written and posted. I’m not ready to give up on it just yet. A goal of one posted review a month doesn’t sounds unreasonable. Selecting which ARC to review for that month will still allow me to read my other ARCs without the pressure of having to review all of them. Plus, if I know what I’m going to review that month it could help free me up from reading only ARCs and throw in a random book that has been sitting on my shelf for longer than I can remember. I can certainly manage my time on a weekend to get a review posted. With the internet as my witness, this is my goal for the new year. Thank you for sticking with me and I plan to give you a review filled 2019. Happy reading!